2 blue ducks is recalling about 450 footed sleepers featuring Dr. Seuss's Thing 1 and Thing 2 characters sold in Canada. The loose-fitting children's sleepwear can contact ignition sources such as stove elements, candles, and matches more readily than tight-fitting sleepwear. Thus, they do not meet the flammability requirements for children’s sleepwear under Canadian law. 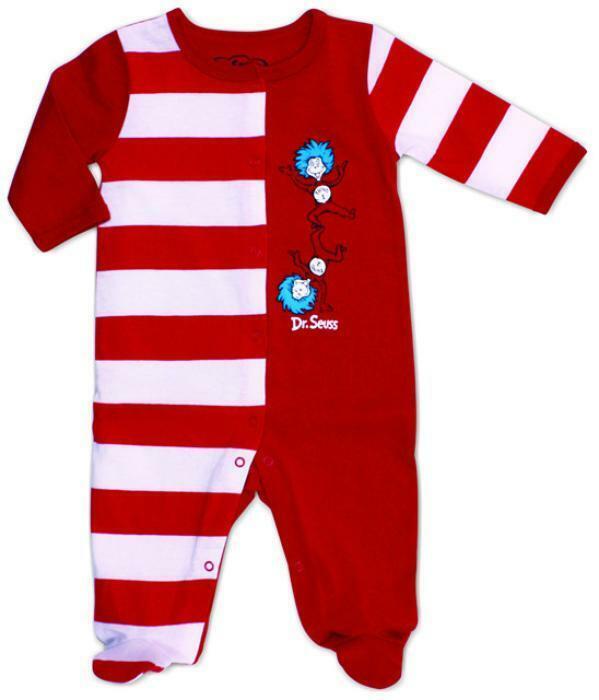 The footed red sleeper with some red/white stripes and featuring Dr. Seuss's Thing 1 and Thing 2 characters is made from 100% cotton. The item code FTSLP-C22-9M and the UPC # 0 14292 98193 0 can be found on the sales tag. The recalled sleepers, manufactured in China, were sold from August 2013, to August 2016. Consumers should immediately stop using the recalled sleepers and return them to the place of purchase for a full refund.